Every year, the manufacturing industry loses billions through waste, high material consumption and manual reworking. Industry 4.0, digitalization and deep learning are on everyone’s lips and continuous improvement is the goal of every business. However, without analytics-driven insights, it is hard to guess which improvements are needed. Analytics are impossible without reliable data but making them useful is one of the major challenges for today’s manufacturers. franck.AI addresses this challenge to optimize the industry. 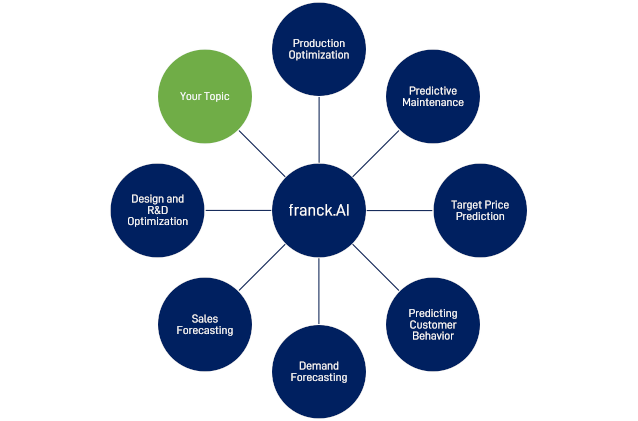 The innovative approach of franck.AI’s solution portfolio is to enable optimal physical results to reduce rejects and reworking, based on limited data through the integration of engineering knowledge. franck.AI has a wide portfolio of data analytics solutions. We are happy to discuss your individual business potential with you! Identify new business opportunities and generate growth. With our services franck.AI is your partner. 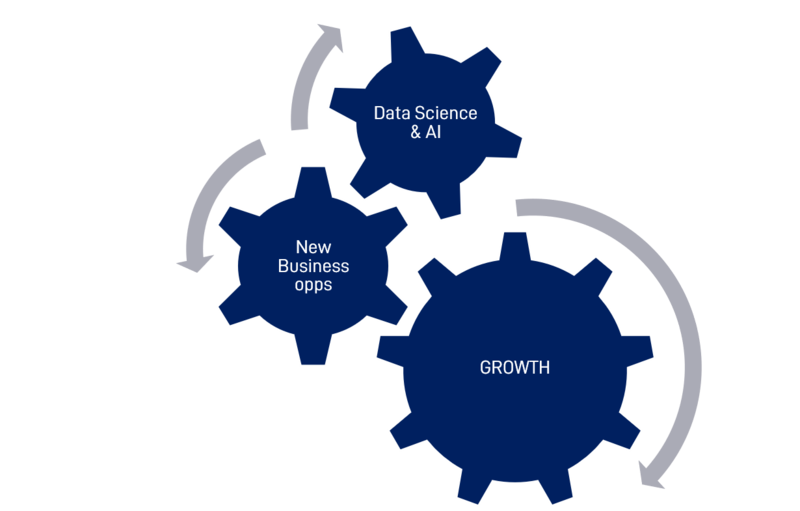 We guide you from identification of business opportunities and data science projects to completely integrated solutions. 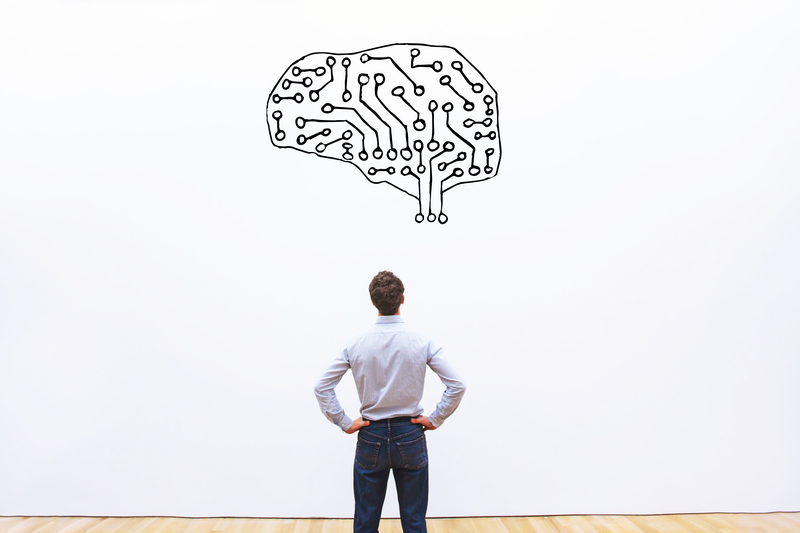 We developed the cognitive machine-learning software ProductionPerfect to dynamically optimize processes. ProductionPerfect calculates optimal settings in real-time. In combination with data analytics and our range of services we generate new business opportunities for you. Multiply your competitiveness with data analytics and create the decisive advantage. High quality products and more efficient processes are achieved based on new insights. Cost-saving benefits are achieved by improved product quality and reduced operating cost. A smart production reduces waste and energy consumption. As a positive side effect your company helps preserving the environment. 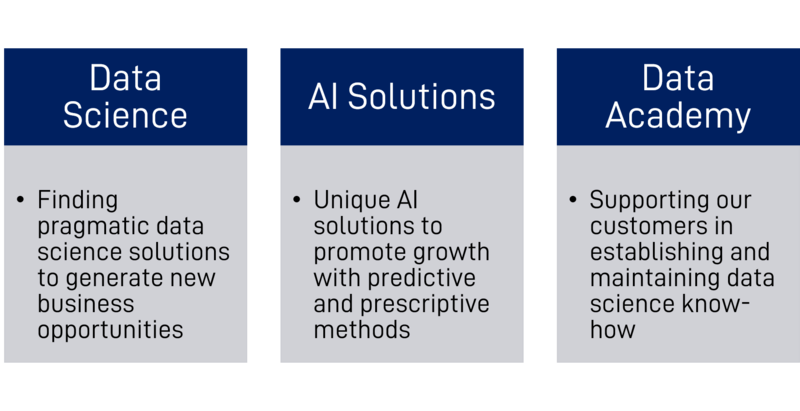 Most of all franck.AI empowers your future growth with data analytics. ©2019 franck.AI GmbH, Alle Rechte vorbehalten.